All-Star Telescope opened in 2006 with the mission of helping people discover the wonders of the night sky. Located in the country north of Calgary, All-Star Telescope offers numerous observing events at their dark sky location and organizes an annual star party in New Mexico. As a member of the Calgary RASC, Ken joined with others in building several Dobsonian telescopes and spent a year in Africa with his 12" Dobsonian before opening All-Star Telescope with his wife, Bev. Regular "Observer Nights" are open to the public to share views with others and to meet with other astronomy enthusiasts. In recent years All-Star Telescope has also specialized in astrophotography, offering "Imager's Nights" for hands-on learning, workshops on imaging and processing, and online instructional videos. As regular observers and imagers, Ken and staff regularly use and test the equipment that they sell and can usually offer knowledgeable and experienced advice to those beginning and progressing in the hobby. All-Star Telescope's website offers a wealth of information on astronomy with informational and instructional videos as well as the opportunity to order online. With a toll-free number (1-866-310-8844), and timely responses to e-mail, we offer advice and support for your purchases. With free Canada-wide shipping on most orders over $200, All-Star Telescope serves amateur astronomers across the country and beyond. We are proud to work with leading suppliers such as TeleVue, Stellarvue, Celestron, Sky-Watcher, Lunt and Orion - all of whom offer quality equipment along with strong support to their dealers and customers. A showroom with extensive telescopes, accessories, imaging equipment and knowledgeable staff is open 6 days a week. With extensive inventory you can shop in person, online or by phone. 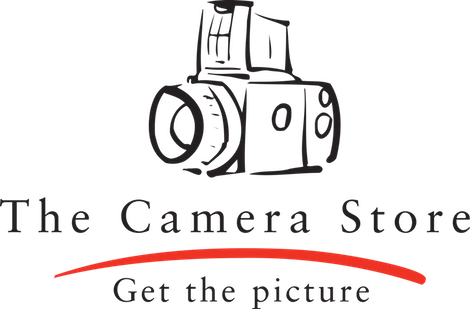 As a premier photo and video outlet based in Calgary Alberta, The Camera Store carries a huge range of photographic equipment and supplies. Whether you are a leading professional or new to photography, our expert staff are always ready to assist you in finding the perfect equipment at great prices. We also carry an assortment of sport-optics, telescopes and more. From astral photography to star gazing, we are here to help you explore the universe. Some of the brands we carry include, Nikon, Canon, Celestron,Vortex, Lecia, Pentax, Zeiss and more. As supporters and official gold sponsors of the Royal Astronomical Society of Canada, we endeavor to help you enjoy and enhance your connection with the stars above. The Camera Store ship’s products across Canada, and supports customers from coast to coast. Canadians shop with us because we offer great service, competitive pricing, and because we are engaged with our community. You can find us on youtube through our channel The Camera Store TV, as well as Facebook, Twitter and Instagram. Not only are we the best place to find solutions to all your photo and video needs, we also offer educational seminars and workshops on a variety of topics and skill levels. From learning the buttons and functions of your first DSLR camera to advanced specialized topics, we have a seminar or workshop for you. Your specialist in high quality optical equipment. Our goal is to provide you with the best selection of telescopes, binoculars, spotting scopes and microscopes you'll find anywhere for beginners or advanced. Huge inventory in stock. Khan Scope Centre is open seven days a week for your convenience and we invite you to enjoy free parking when you visit our Retail Store. We provide both new and used equipment and welcome trade-ins. You'll find optics to fit every need... and every budget! Ontario Telescope and Accessories is an online destination for hobbyists and astronomers that are looking for new equipment. Authorised dealers for iOptron, Lumicon, Explore Scientific, Antares, and other high quality manufactures. Offering shipping across Canada, and personal service to ensure customer satisfaction. Don’t be surprised if you receive an email response from us in the middle of the night, or on a weekend. Shop for your equipment 24 hours a day from the comfort of your home. 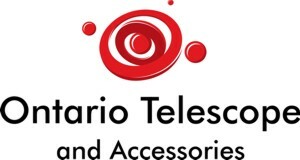 Ontario Telescope and Accessories, where OTA means more. At SkyShed we provide quality Roll-Off Observatory Plans, Kits and Telescope Piers. We also manufacture SkySheds and can install one on your site. SkySheds are suitable for the budding astronomer to the seasoned astro photographer.